The Audio Note TT1 is based on the award winning Dunlop Systemdeck IIX. Audio Note have taken its basic design and improved on it in a number of areas. The Audio Note TT1 has a fully floating, three point, level-adjustable suspended sub-chassis that isolates the platter and arm from the outer chassis, motor, and shelf or support. 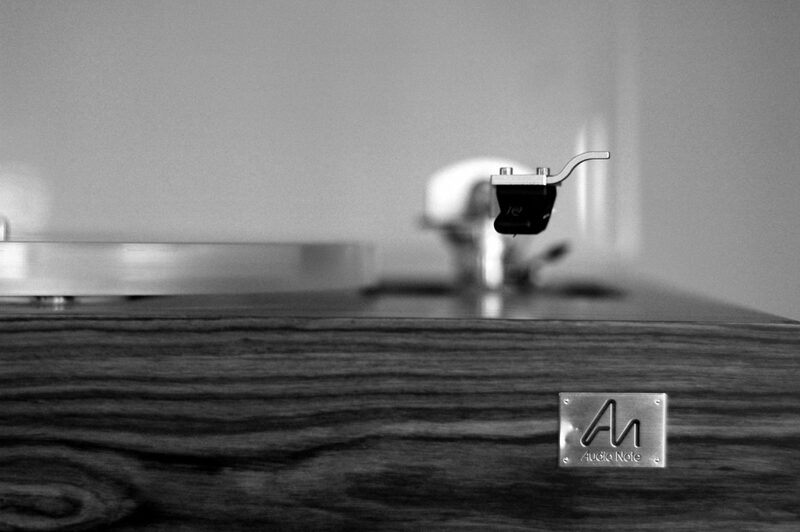 The Audio Note TT1 platter and sub-platter are individually machined from a single block of acrylic. The platter has a label-sized recess on its top to accommodate the record’s label and a wider recess on the bottom, providing clearance for the pulley system. One of the reasons that acrylic is used is that it has some similar properties to vinyl itself so that when a record is placed on top of it, it acts like a mechanical extension of the record. Therefore, with this kind of platter, no mat should be used. For a one-step introduction to the joy of vinyl reproduction, Audio Note offers the factory fitted combination of IQI, Arm 1 & AN-TT1: providing an instant and affordable passport to analogue Nirvana. “The 180g pressing of Gwynneth Herbert’s All the Ghosts, further shows how the bass is tight, tuneful, fast and weighty. Her voice has all the quirky character and expressiveness we heard when we saw her perform live. The Audio Note TT1 conveys the emotion and humour of her performance with alacrity and never reduces her – or any vocalist – to sounding like a Karaoke performer. Equally, it renders the relationship between the singer’s phrasing and the band’s playing with true lucidity and precision.